Emma Chasse is being recognized for her outstanding achievement in academics, activities, and service. Academically, Emma has taken on challenging courses such as AP European History as well as Honors Creative Writing. She won the Perseverance Award in theater last year and had one of her original plays chosen to be read at Boston University in the BU Playwright Theater Competition. In terms of activities, Emma has been in all 12 seasons of Drama during her four years of high school. She played the role of Grumio in The Taming of the Shrew and played Wilbur the Pig during this past weekend’s excellent production of Charlotte’s Web. She has also done Improv for the last two years, playwrighting for the last three years, and was in RMHS Singers for three years. Emma has also found time to give back to her community by helping to clean at the Unitarian Universalist Church in Reading. Additionally, she has helped at the Reading Fun Fair and as a member of the Lobby Crew during Drama shows that she is not directly involved in. 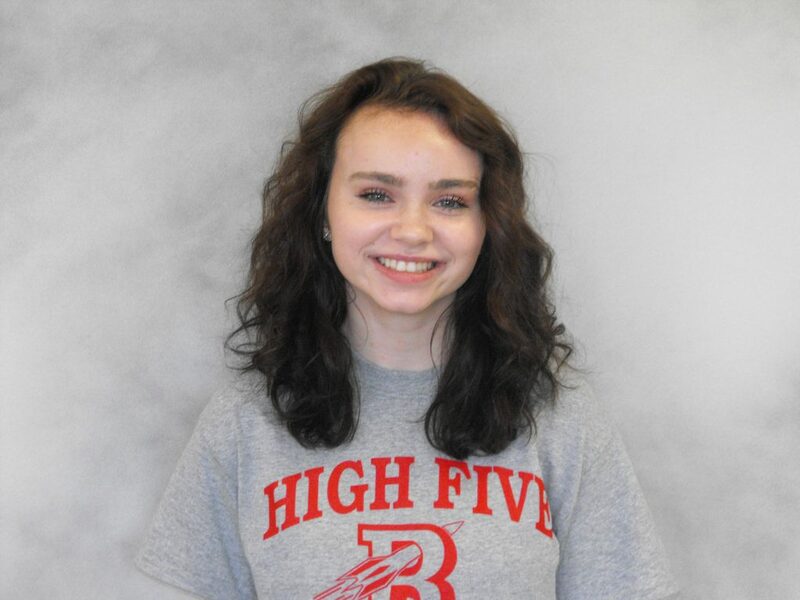 Emma also assists the Middle School with their play productions and is a mentor to young artists aspiring to continue on at the high school level. Next year, Emma will be attending Columbia College in Chicago and will be majoring in Comedy Writing and Performance. Congratulations, Emma! 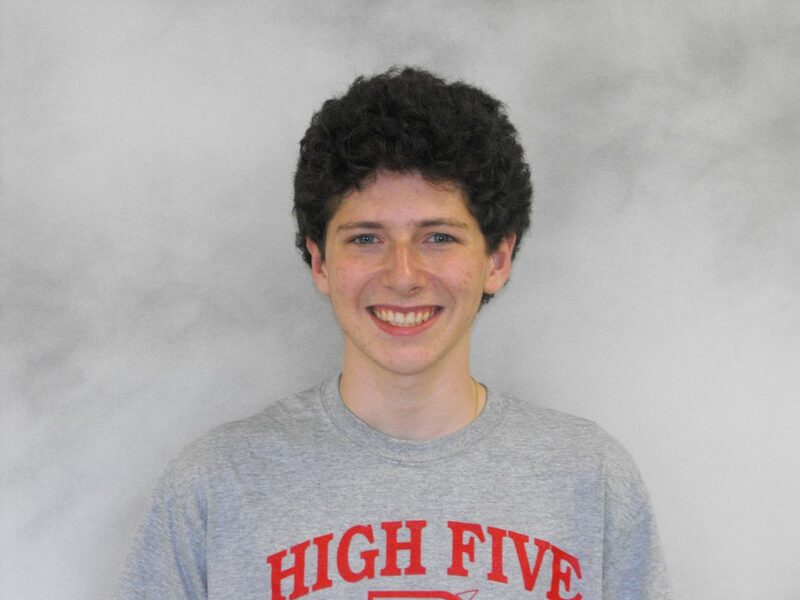 Evan Shapiro is also being recognized for his excellent achievement in academics, activities, and service. Academically, Evan has challenged himself this year by taking five AP courses including—AP European History, Computer Science, Statistics, AB Calculus, and Environmental Science. He is a hard worker who has enjoyed the rigor of this demanding schedule and has done a terrific job balancing the requirements of his classes and of balancing his in-depth involvement in music and the performing arts. Throughout his four years at RMHS, Evan has been involved in all twelve seasons of the Drama Club’s productions, performing in various shows and roles including—Urinetown, 1776, where he was “New York abstains courteously”, Harvey—where he was Mr. Wilson the Strong Arm of the Sanatorium, and most recently Templeton the Rat in Charlotte’s Web. Evan is also the Vice President of the Marching Band and serves as the front ensemble section leader. His favorite performance as a member of the Marching Band was entitled, American Exploration—performed during his junior year. Lastly, Evan, of course, serves as one of the talented “Voices of RMHS”, reliably and creatively delivering the morning announcements on a daily basis. In spite of this very busy schedule, Evan still finds time to give back to his community by serving as a lifeguard at the Malden YMCA and as a Hiking Camp Counselor at a camp in Maine for children ages 7-16. Evan will be attending Brandeis University in the fall.